But Kennedy Smith isn’t exaggerating when she describes her catch. 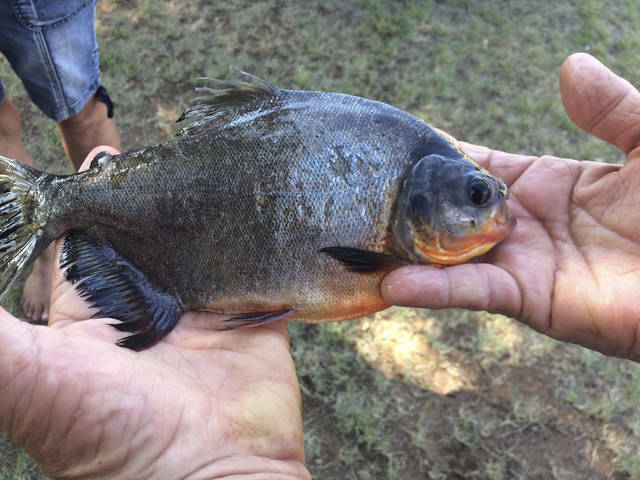 Caddo County Game Warden Tyler Howser confirms that the fish was a pacu, a relative of the piranha that is native to South America and can grow up to 50 pounds (22 kilograms). Kennedy’s fish weighed about 1 pound (half a kilogram), according to Howser and Kennedy’s grandmother Sandra Whaley. 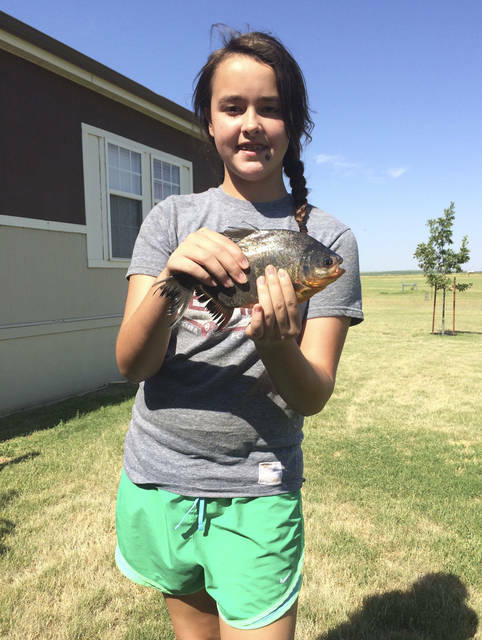 Kennedy says she initially was “really excited” to have caught a fish Sunday in Fort Cob Lake, about 55 miles (89 kilometers) southwest of Oklahoma City. She was shocked when the fish bit her grandmother, as Whaley removed the hook from its mouth. 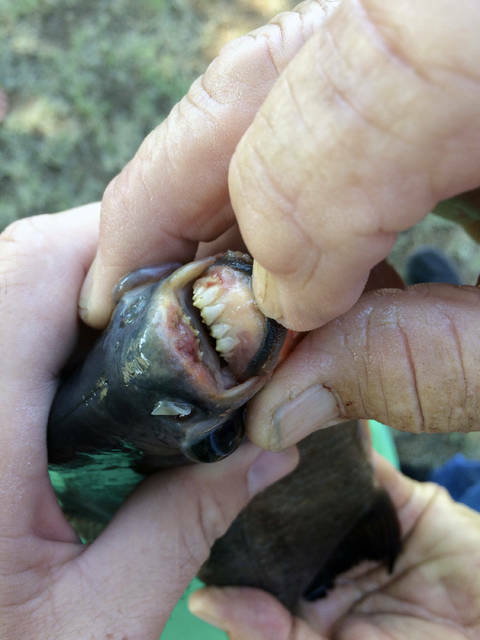 “I was confused because I knew that fish with teeth are not normal. It was weird. They were human-like and that made it even weirder,” Kennedy told The Associated Press Thursday.